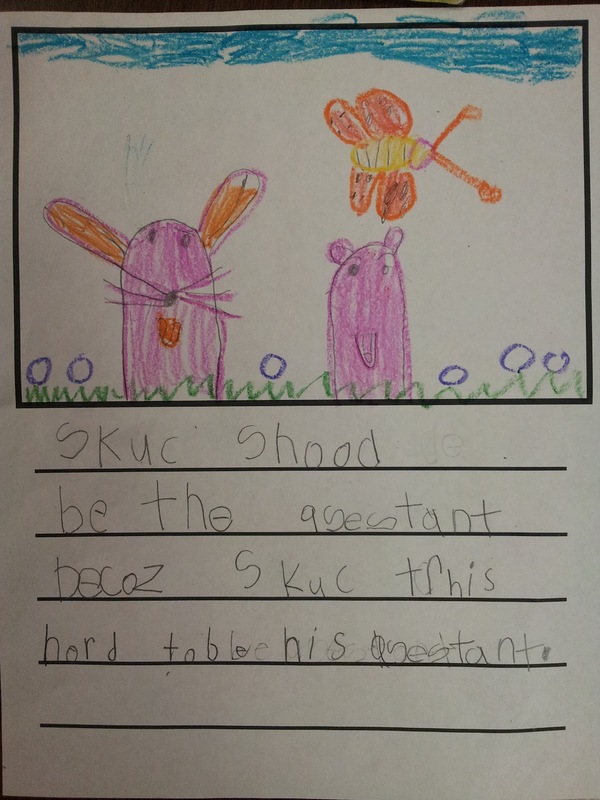 I know Easter has come and gone, but I couldn't resist pulling this book back out to use in a classroom this week. 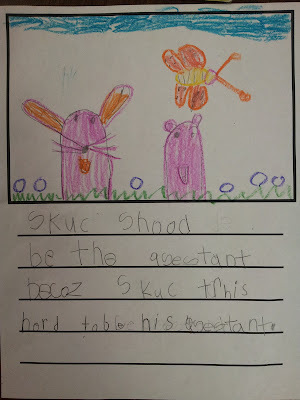 We used it as a springboard for writing to explain. 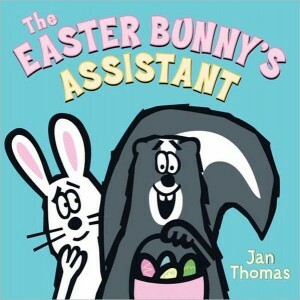 I started reading the book, but stopped just before the Easter Bunny pushes Skunk out the door. 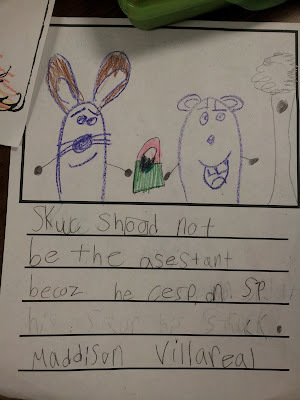 I had the students discuss whether they thought Skunk should get to be the Easter Bunny's assistant and why or why not. I loved their answers. 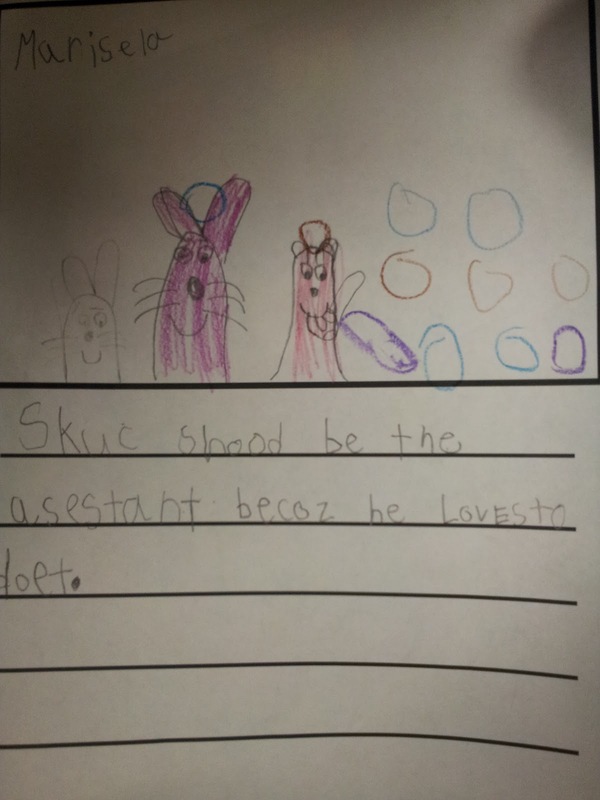 After they were done with their writing, we went back and finished reading the book. 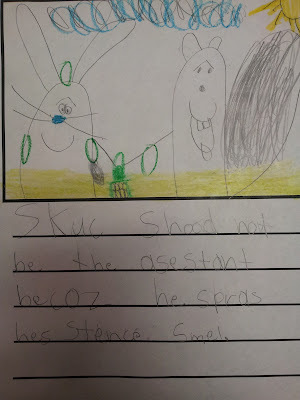 "Skunk should not be the assistant because he sprays his stinky spray." "Skunk should be the assistant because he worked hard." "Skunk should be the assistant because Skunk tried hard to be his assistant." 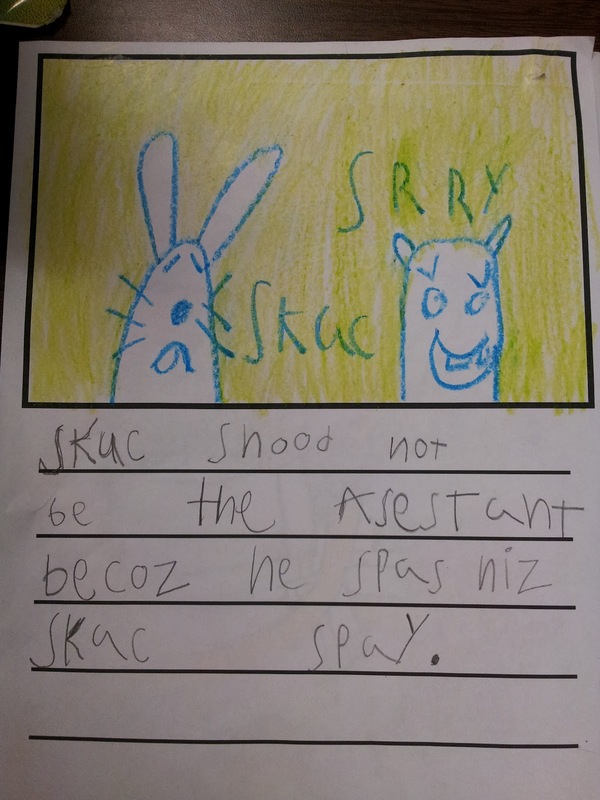 "Skunk should not be the assistant because he kept on spraying." 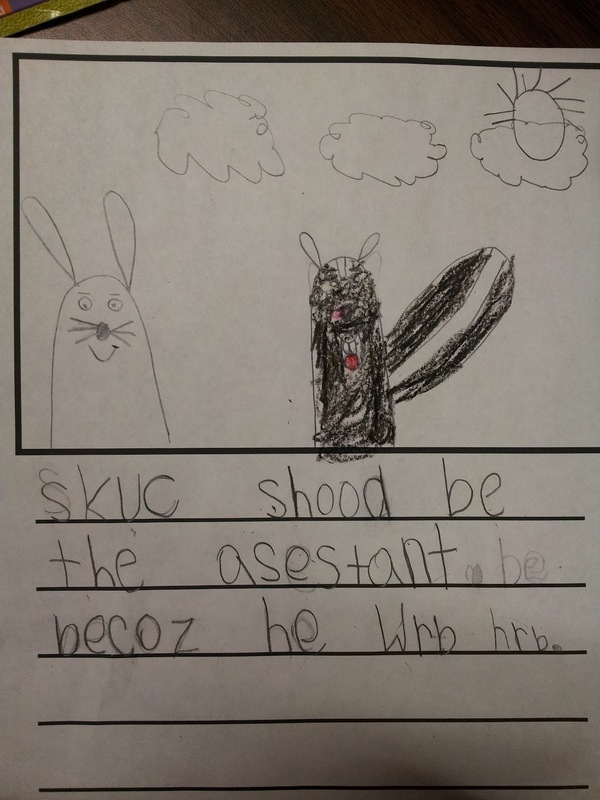 "Skunk should be the assistant because he loves to do it." 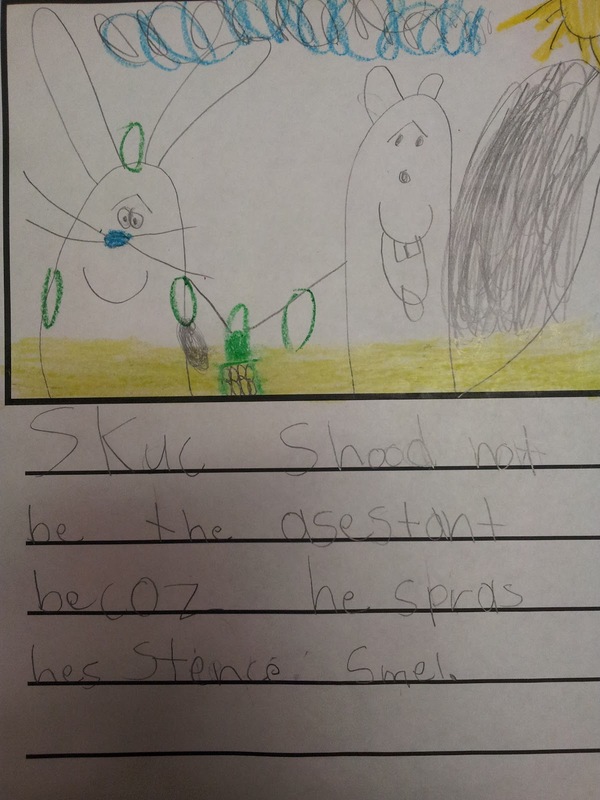 "Skunk should not be the assistant because he sprays his stinky smell." I just love these boks. Have you tried pinning from your own site? 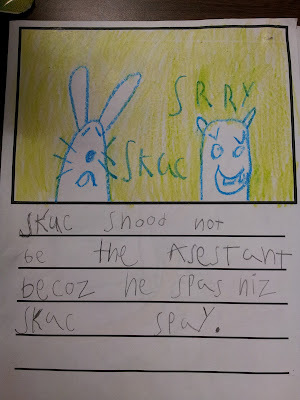 I can't do a number of educational sites. it says Users have reported that this links to spam or other inappropriate content. Heidi's too. But just tried Mrs. Will's and it worked. Just tried my own class site and I can pin. Tried reporting this to Pinterest yesterday. Frustrating. 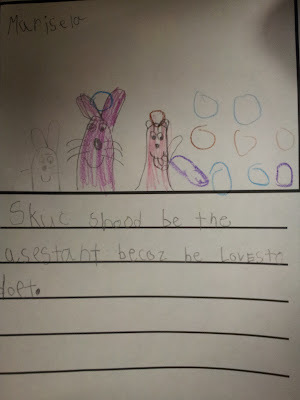 i love your stuff.